I am in charge or our ward's "Homemaking Enrichment Group" (how's that for old school meets new school?) and this month we are all about cleaning. So...I was hoping my blogging friends would share their favorite cleaning tip. I am by no means a super-cleaner, but here are a few ideas to get you started. 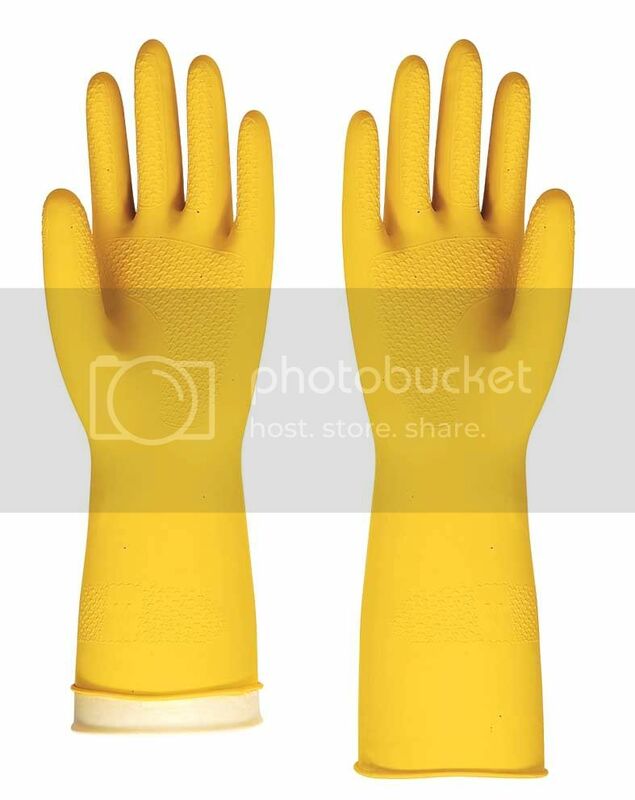 -Always wear thick rubber gloves for anything wet or even remotely messy. You can handle really hot water and it takes out the "ick" factor. -When things seem overwhelming, just start in one corner and work your way out. I start at my kitchen sink, clean everything associated with it, and then move my way toward the family room. When I can see the progress I am making it motivates me to keep cleaning. -Spot-X Hard water cleaner is the best thing I've found to get rid of those pesky stains. I've wasted a lot of money on hard water cleaners, but this one (plus a little elbow grease) works fairly well. -I have a little yellow square towel that is fantastic for mirrors. You just get it a little wet and wipe the mirror down. No streaks, no cleaners. Works beautifully. I love those yellow glass towels! I just got one from my friend. I also got a gray kitchen one and I wipe down my counters with it so I feel like they are clean without using 409 or something stinky. 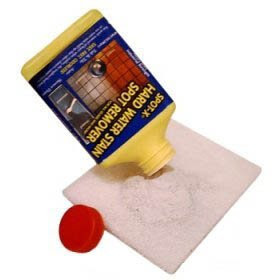 My mom uses toilet bowl cleaner to get windows with hard water stains from the sprinklers clean. I keep a pkg of those costco surgical gloves and a tub of disinfecting wipes under the sink in my powder room. That bathroom seems to get the most use, and it gets dirty the fastest. Anyway, I take a minute every day to put on a glove, grab a wipe, and go over the sink, counter, door knob, and toilet seat. It keeps everything disinfected and looking good between cleanings, and it is super fast to do. Another bathroom tip: I keep a Dustbuster in my master bathroom. After I blow dry my hair I pull out the Dustbuster and just go over the floor quickly. I don't think there is anything worse than a hairy bathroom floor, especially when it is so easy not to have one! That's all I can think of right now, Al. Except to say that for me it is much easier to keep up with the little things every day rather than having to do a massive cleaning all at once. A splash of rubbing alcohol in warm water + a good squegee (is that how you spell it?) makes for fast, no streak windows. Just wash off with a washcloth and squegee it off. Wipe the blade with a lint free cloth between uses.